Targets / sub-targets for lending to Micro, Small and Medium Enterprises (MSME) sector by Domestic Commercial Banks and Foreign Banks operating in India. 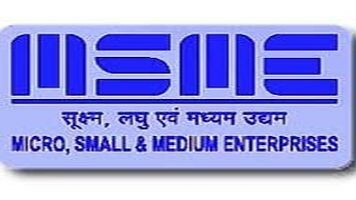 3.1) Advances to Micro, Small and Medium Enterprises (MSME) sector shall be reckoned in computing achievement under the overall Priority Sector target of 40 percent of Adjusted Net Bank Credit (ANBC) or credit equivalent amount of Off-Balance Sheet Exposure, whichever is higher, as per the extant guidelines on priority sector lending. 3.2) Domestic Commercial Banks are required to achieve a sub-target of 7.5 percent of ANBC (Adjusted Net Bank Credit) or Credit Equivalent Amount of Off-Balance Sheet Exposure, whichever is higher, for lending to Micro Enterprises by March 2017. The sub-target for Micro Enterprises for foreign banks with 5 20 branches and above operating in India would be made applicable post 2018 after a review in 2017. However, this sub-target for lending to Micro Enterprises is not applicable to foreign banks with less than 20 branches operating in India. 3.3) Bank loans above Rs.5 crore per borrower / unit to Micro and Small Enterprises and Rs.10 crore to Medium Enterprises engaged in providing or rendering of services and defined in terms of investment in equipment under MSMED Act, 2006, shall not be reckoned in computing achievement under the overall Priority Sector targets as above. However, bank loans above Rs.5 crore per borrower / unit to Micro and Small Enterprises would be taken into account while assessing the performance of the banks with regard to their achievement of targets prescribed by the Prime Minister’s Task Force on MSMEs for lending to MSE sector. (iii) 60% of total lending to MSE sector as on preceding March 31st to Micro enterprises. 4.3) Composite loan A composite loan limit of Rs.1 crore can be sanctioned by banks to enable the MSE entrepreneurs to avail of their working capital and term loan requirement through Single Window. 4.4) Revised General Credit Card (GCC) Scheme In order to enhance the coverage of GCC Scheme to ensure greater credit linkage for all productive activities within the overall Priority Sector guidelines and to capture all credit extended by banks to individuals for non-farm entrepreneurial activity, the GCC guidelines were revised on December 2, 2013.